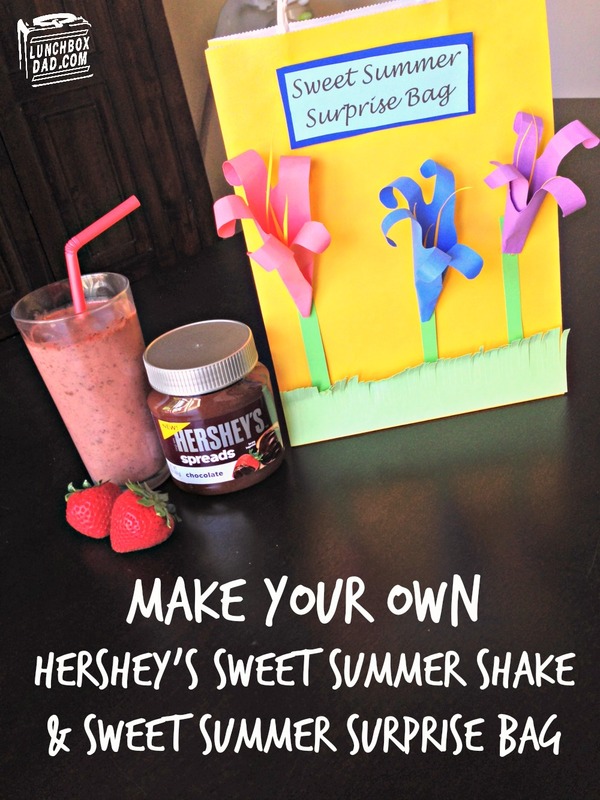 Lunchbox Dad: Make Your Own Hershey's Sweet Summer Shake & Sweet Summer Surprise Bag! 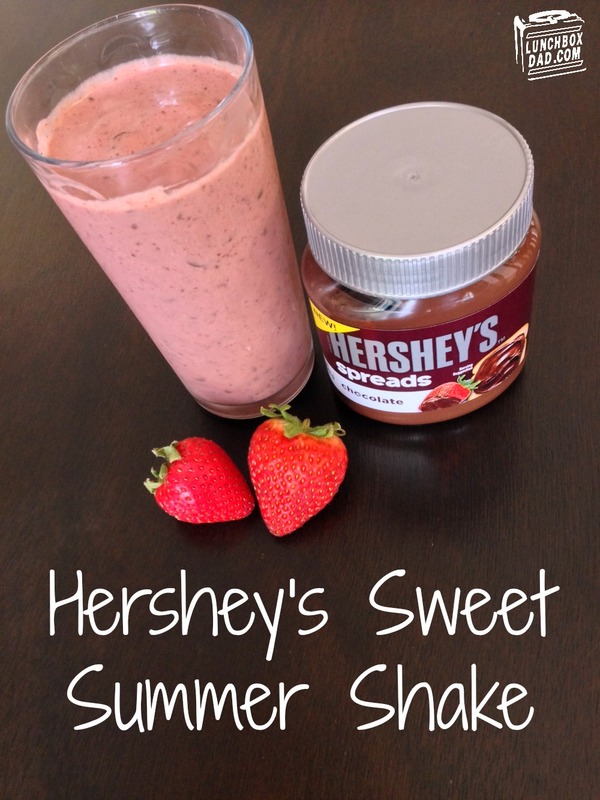 Make Your Own Hershey's Sweet Summer Shake & Sweet Summer Surprise Bag! It's almost summertime and in our house that means no school, warm weather, and hanging out with friends. Not only do we love spending time with people, but we also love sharing fun recipes and experiences with them! My family tried out Hershey's Spreads this weekend and we just had to "spread the love" with our neighbors. We experimented with the amazing chocolate spreads and came up with what we think might be the best milkshake we've ever had. We wanted to share the recipe in a fun way so we created our own gift bag as well. Read on for the directions on how to easily make both at your house. We took the idea of "Boo Bags" from Halloween and decided they could work to help welcome in summer. Meet the Sweet Summer Surprise Bag! Inside we packed the key ingredients for our "Sweet Summer Shake." Thankfully, we were able to find everything we needed at Walmart. 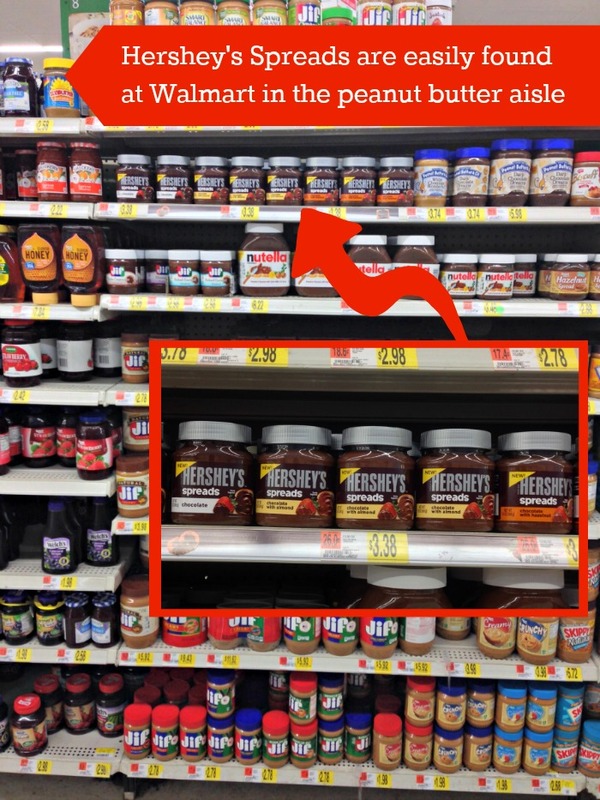 The main ingredient, Hershey's Spreads, can easily be found on the peanut butter aisle. Below you will find the recipe for our milkshake and the instructions for how to make your own gift bag as well. I even created a video to show you how easy it is to make them both! Not only that, but at the every end of this post you will find some tasty bonus recipes that also use Hershey's Spreads. Watch the video first and then if you want written instructions, they are below. Most of all, have fun and spread the love with your family, friends, and neighbors! 1. In blender pour Hershey’s Chocolate Milk, Hershey’s Spreads, strawberries, and yogurt. Blend until smooth. 2. Add Hershey’s Chocolate Chips and blend again until chips are broken into small bits. Pour into glasses and serve immediately. 1. Trace hand (a child's hand works best) on sheet of construction paper. Cut out along lines. Repeat two more times on different colors of paper. 2. Roll up paper hand to form flower as shown in video. Tape edge to hold shut. Fold tape to make double sided. Stuff tape down the middle of the flower. Cut long, thin strips of yellow paper and place in the middle of the flower, sticking them to the tape and making sure they stick out the top of the flower. Cut flower stem from piece of green paper and tape to bottom of flower. Repeat for each flower. 3. Cut fringe along one side of green construction paper. This should be long enough to go across the bottom of your bag to look like grass. Tape to bag. 4. Tape flowers to bag with the stems going behind the grass. 5. 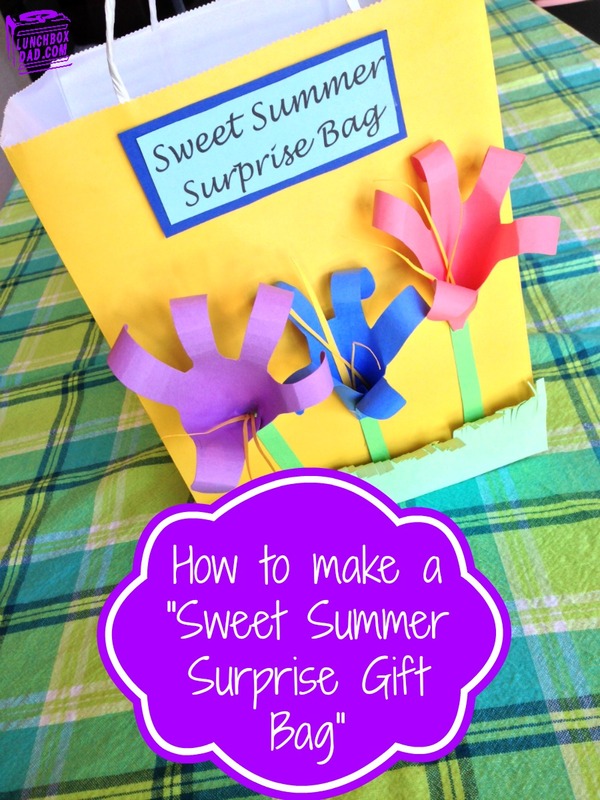 Write or type "Sweet Summer Surprise Bag" on paper. Cut out in a rectangular shape. Cut out a slightly larger rectangle form another color of paper. Tape "Sweet Summer Surprise Bag" label to the larger rectangle, then tape to bag. 6. Your Sweet Summer Surprise Bag is almost done! Just stuff bag with the printable recipe from above and the main ingredients for the "Sweet Summer Shake." Finish by spreading the love to your neighbors, friends, or anyone else who needs a smile today! Bonus Hershey's Spreads Recipe Ideas! Oh-So-Gooey Chocolate Covered Peach: Mix one spoonful Hershey's Spreads with your favorite whipped topping. Slice a fresh peach in half and place in bowl. Cover peach with a generous amount of the chocolate whipped topping and serve. 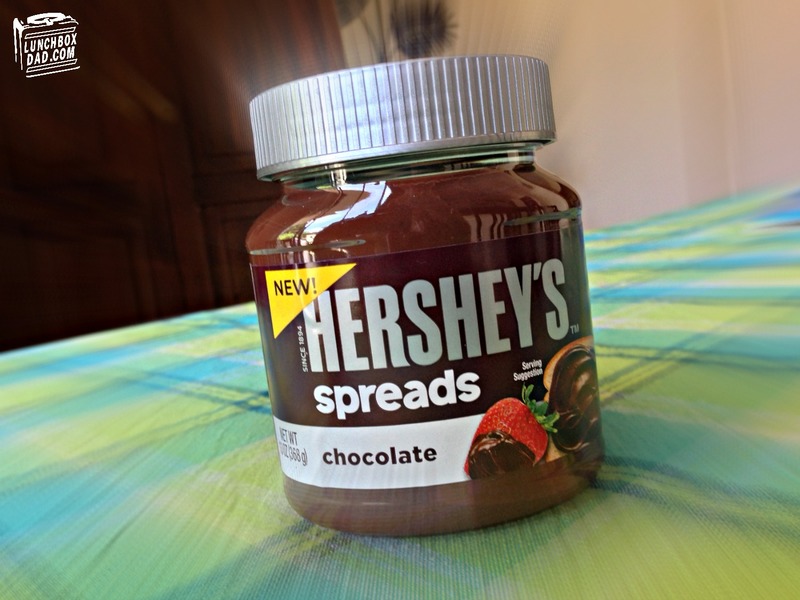 Fruity Chocolate Yogurt: Mix one spoonful Hershey's Spreads with your favorite plain Greek yogurt. Top with berries and sliced almonds for a sweet and delicious breakfast. Sweet Summer Popsicles: Use the above recipe for "Sweet Summer Shake" but freeze it in popsicle molds instead. It is perfect for a backyard treat on those hot summer days! I really wish I was your neighbor so I could partake in that great summer surprise bag. Looks taaaay steeee. Great job on the video too. Thanks Chris, I wish you were my neighbor as well. Well, if you are ever in my neighborhood stop on by and Ill make you this shake!